Don’t fumble in the dark. No need to fumble in the dark when you’re reaching for your keys in the hallway or for midnight snacks in the pantry with this motion sensor LED night light. Perfect for use in hallways, pantries, closets, stairways and more! Activating as soon as it detects movement, this Motion Sensor LED Night Light is perfect for entryways, hallways and cupboards so you don’t need to feel around in the dark for the light switch! 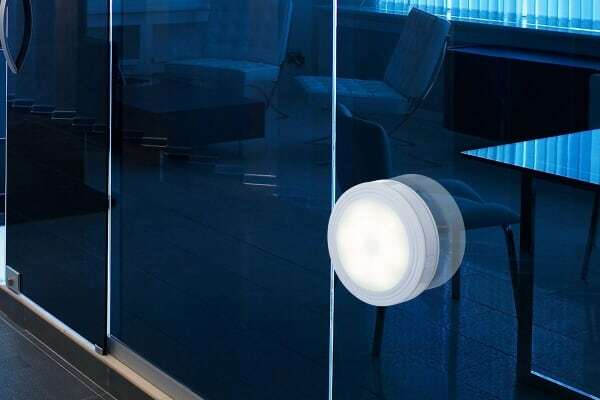 Detecting whether its light or dark inside, this motion sensor automatically turns off when it’s bright and only switches on when it’s dark and senses movement, helping to conserve battery power. 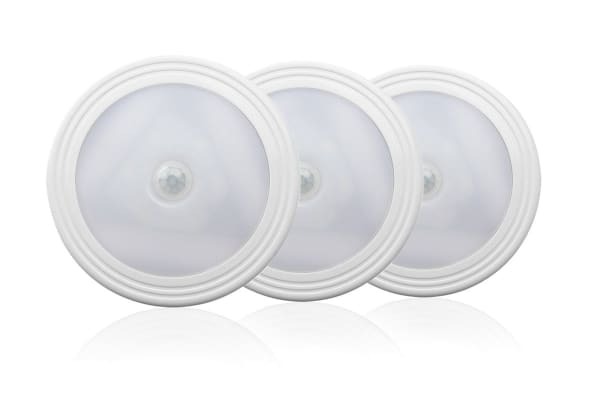 Thanks to the seamless battery operation, this motion sensor night light requires zero set up. 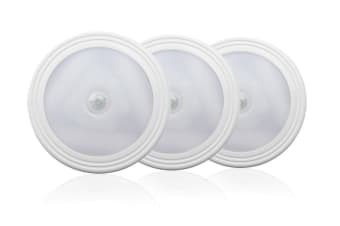 Simply stick it on your cupboard or entry wall with the included adhesive pad and watch it light up!